Although you might not have a choice. In 2100, memetics rules – the science of analyzing, engineering, and manipulating ideas. Memeticists know how to get into your head, and will do so for power, money, and religion. Sometimes they'll do it just for the fun of it. 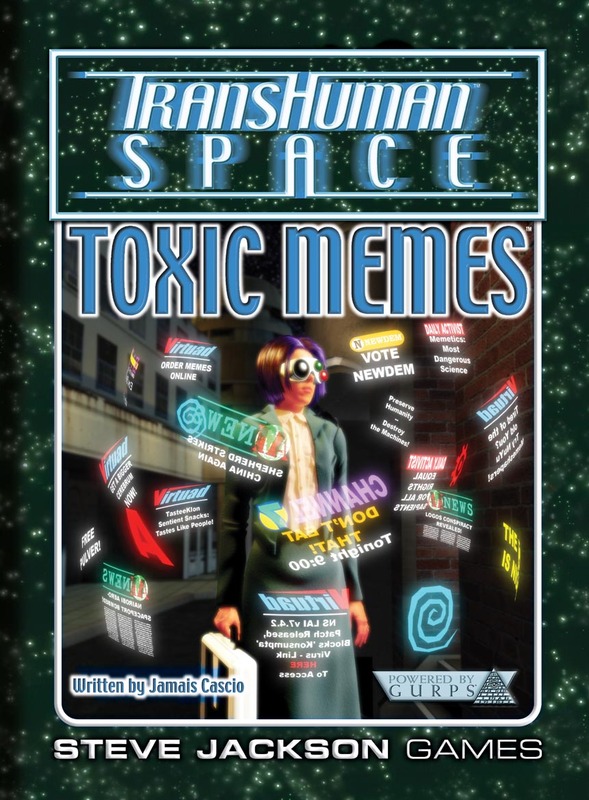 Transhuman Space: Toxic Memes explores cults, conspiracies, urban legends, fads, and more from around the world at the end of the 21st century. In a world where belief, fear, and ideology can be sculpted like clay, how does anyone know what they really think? 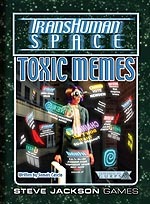 Toxic Memes is a sourcebook for the Transhuman Space setting, and includes detailed rules for the creation and propagation of memes, technologies for controlling information and managing reputations, new characters, new templates, campaign ideas, and over a hundred cults, movements, conspiracies, myths, and fringe sub-cultures to use as adventure seeds, background flavor, and to enhance your game's sense that the world of Transhuman Space is a very strange place indeed. Transhuman Space: Polyhymnia – Somebody has learned a devastating 15-year-old secret, and they need an independent group to get to the bottom of things . . . before Polyhymnia's true purpose is revealed.